At the heart of this project lies the GAMA spectroscopic survey of ~300,000 galaxies down to r < 19.8 mag over ~286 deg2, carried out using the AAOmega multi-object spectrograph on the Anglo-Australian Telescope (AAT) by the GAMA team. This project was awarded 210 nights over 7 years (2008–2014) and the observations are now completed. This survey builds on, and is augmented by, previous spectroscopic surveys such as the Sloan Digital Sky Survey (SDSS), the 2dF Galaxy Redshift Survey (2dFGRS) and the Millennium Galaxy Catalogue (MGC). The main objective of GAMA is to study structure on scales of 1 kpc to 1 Mpc. This includes galaxy clusters, groups, mergers and coarse measurements of galaxy structure (i.e., bulges and discs). It is on these scales where baryons play a critical role in the galaxy formation and subsequent evolutionary processes and where our understanding of structure in the Universe breaks down. To test modified theories of gravity by measuring the growth rate of structure; the CDM model by measuring the halo mass function; and galaxy formation models by measuring the star formation efficiency in groups. 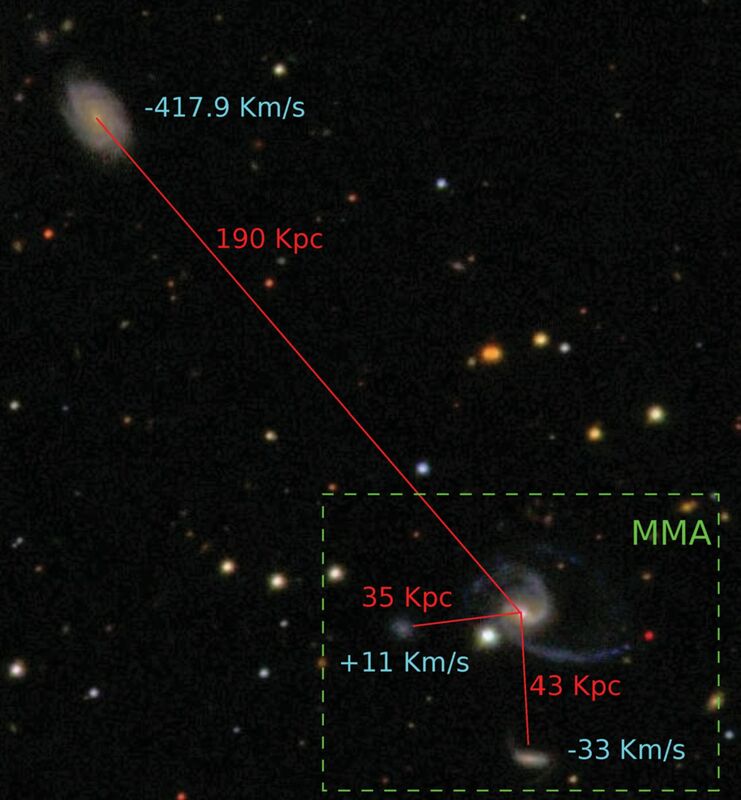 To measure the connection between star formation fuelling, stellar mass build-up and feedback processes. To uncover the detailed mechanisms that govern the build-up of the stellar content of galaxies. 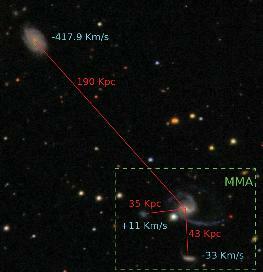 To directly measure the recent galaxy merger rate as a function of mass, mass ratio, local environment and galaxy type. To address these goals, GAMA is creating an extraordinary multi-wavelength photometric and spectroscopic dataset with outstanding value to both the large-scale structure and galaxy evolution communities. By virtue of its unrivaled combination of area, spectroscopic depth, high spatial resolution and broad wavelength coverage the GAMA dataset will be uniquely capable of advancing low and intermediate-redshift galaxy studies. More details on GAMA and its science case can be found in our proposals (2007, 2010) and in this article. The following table provides an overview of the GAMA survey regions. G02 was somewhat redefined during the course of the survey. As a result only the part north of −6 deg was observed to high completeness.